Hello! 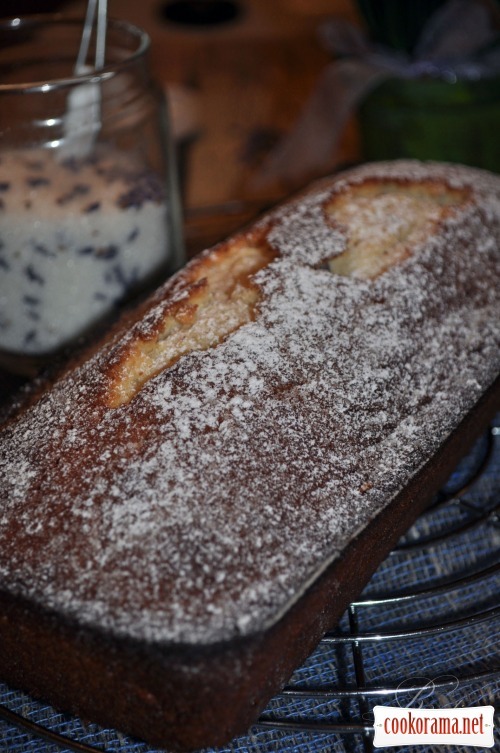 I would like to offer you another recipe using my favorite lavender — Lavender cake with white chocolate. 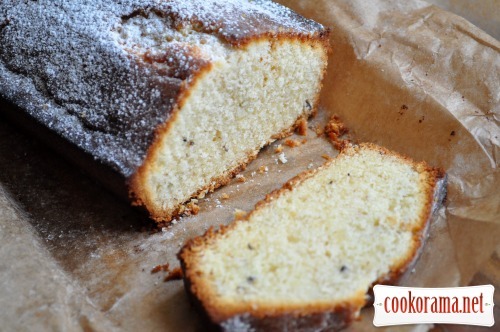 Light cake with a delicate, not intrusive flavor is perfect complement to an evening tea… And in the morning with a cup of coffee is very mentally. This recipe is from the book by Joanne Farrow — Recipes of sweet and savory dishes — Chocolate. 1. Grease with butter form for cake, designed for 0,5 kilo of dough, cover with parchment. Melt chocolate in small bowl. 2. Separate lavender flowers from stalks and mash them with sugar and softened butter until smooth, creamy mass. Gradually add eggs and some flour. 3. Add molten chocolate. Stir it. Sift remained flour, add ground almonds. Stir all gently. 4. Spread dough in form and smooth the surface. 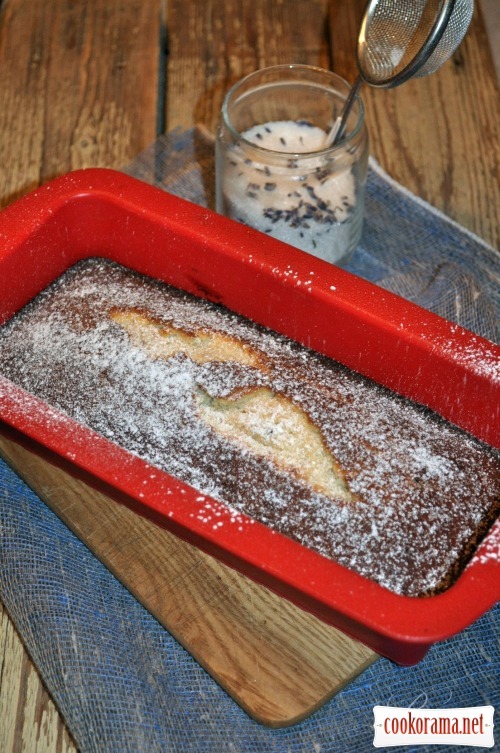 Bake in preheated to 180 ℃ oven for 40 min., till cake rises and bakes well (check with toothpick). Cool on grid, sprinkle with sugar powder generously. 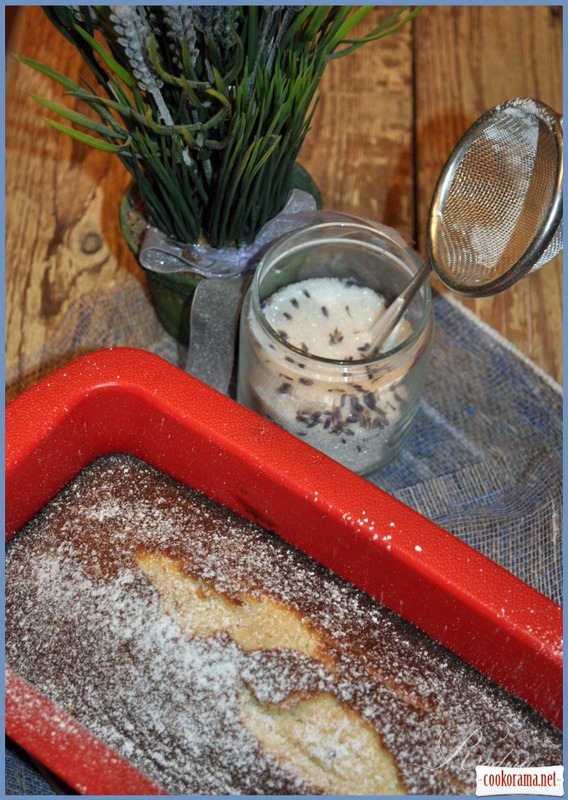 *In the original recipe is suggested to use 8 sprigs of lavender, I still have dried buds and instead twigs I added them. 8 sprigs — about 1 tablespoon of buds, the scent of lavender is pronounced but not «perfume», very nice, like lavender-rikotto dessert. Cake is prepared very quickly, brightly expressed cake structure, not dry, not crumbly. 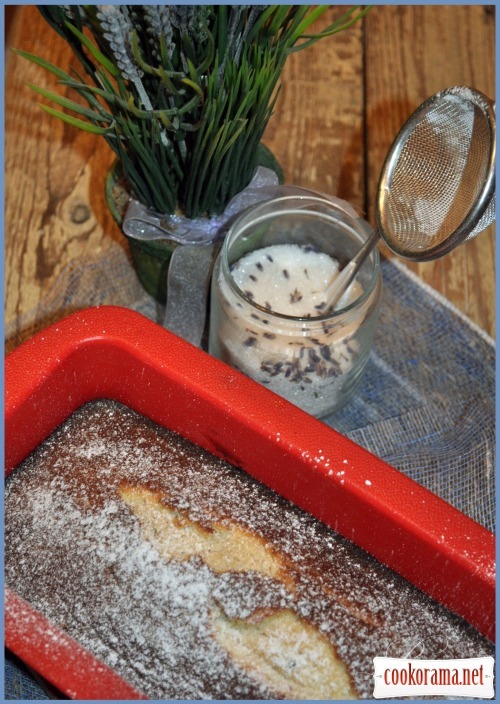 In this recipe I have not changed anything= is one of the few recipes where wheeze is not welcome — so fragrant cake and self-sufficient, that the exclusion / addition can only harm the original version. I recommend to cook it. 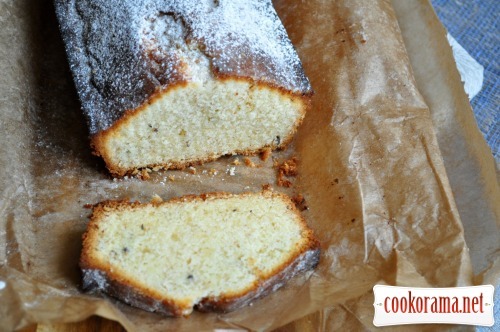 Top of recipe "Lavender cake with white chocolate"
действительно — душевный, нежный и ароматный! блеск! Мариш, аналогично. Только у меня ещё и в саду растёт лаванда сама по себе, а горшки с лавандой я просто выставляю на лето на патио. Навіть не знала, що з лаванди можна щось готувати. Да-да ! 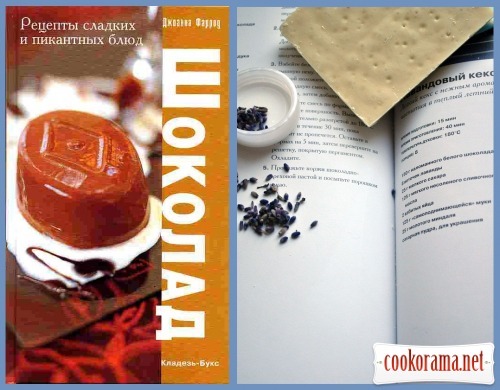 Потому=что это вкусно . Есть у меня ещё рецепты с лавандой — обязательно опубликую.